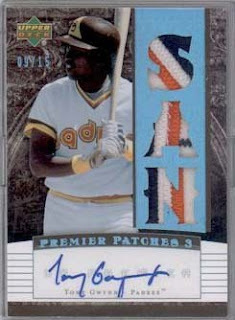 Here's just another Tony Gwynn card with Jr's auto on it. Really, that's annoying. If I paid $300 for just one pack of cards, I would really expect better than this. I hope Upper Deck does something for all the people that got hosed on this one.